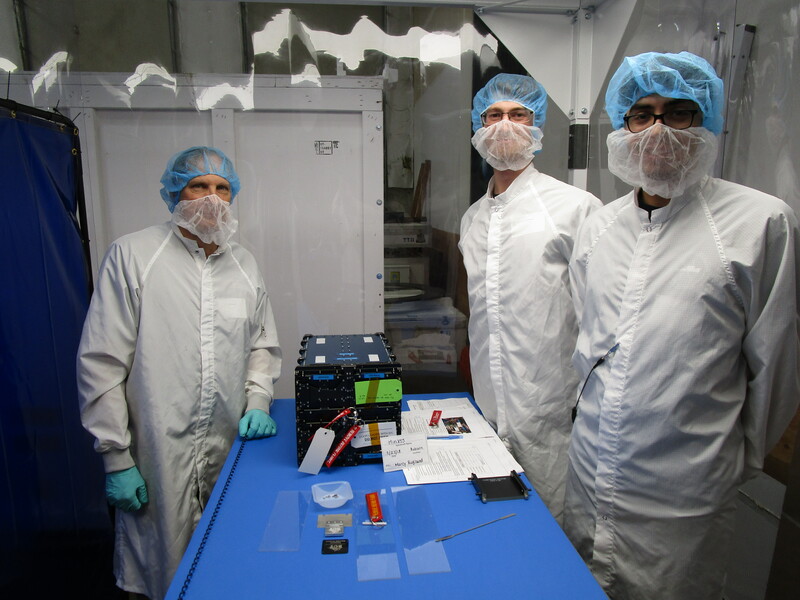 MinXSS-2 was delivered today, 2018-09-27, to Spaceflight Inc. just outside Seattle. It is part of a quad-pack of deployers (pictured) that will be integrated with the other 70 satellites on the SpaceX Falcon 9 rocket for the SSO-A launch, scheduled for 2018 November. All of the tests done just prior to delivery but post shipment were successful. We’re ready for launch! In the photo — from left to right — are Rick Kohnert, and graduate students Bennet Schwab and Robert Sewell.